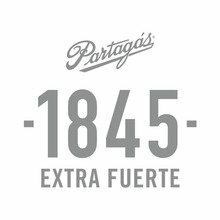 Partagas 1845 Extra Fuerte Gigante cigar features a rare Honduras Olancho San Agustin Sun Grown wrapper, over a Connecticut Habano binder, and aged long fillers from the Dominican Republic and Nicaragua. This higher octane follow up to the enormously popular Partagas Heritage, is bold, medium to full bodied, and brimming with palate pleasing flavors of citrus, pepper, leather, freshly baked bread, and coffee. Buy a box, get 5 Partagas 1845 Robusto cigars, valued at $31.45, absolutely FREE! I’m generally a mild to medium flavor guy, but this is a wonderful addition to my cigar humidor with a full flavor cigar.. I’ve smoked Partagas for over 40 years and even though my usual is the 1845 naturals, this cigar is always 0ne of my choices for full flavor. You can’t go wrong with a great tasting Partagas cigar with excellent tast, full body, easy draw and very consistent cigar that will last a very long time.